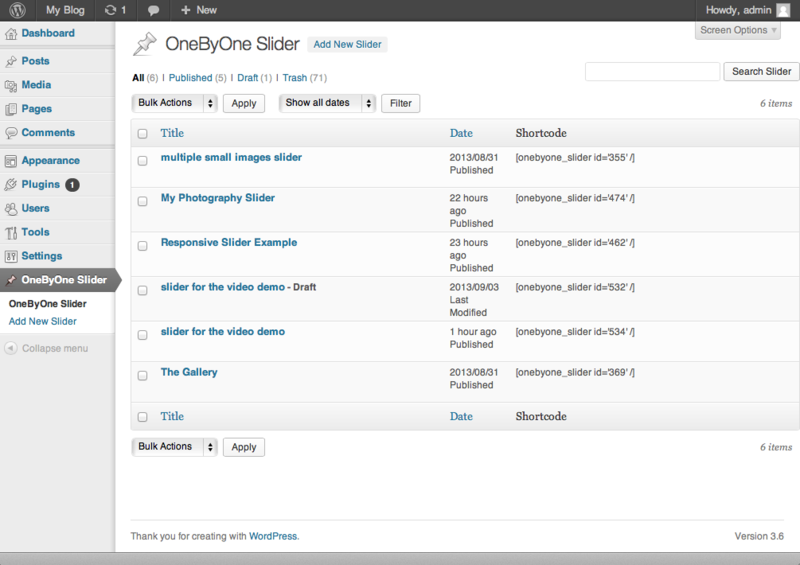 Now the OneByOne Slider is working with WordPress, you can put it in the WordPress post or page easily. Add live preview to the backend, help you to update the content directly. Add color picker for the text, help you update text block more easily. Add thumbnail preview to the backend too. Easy to install and setup with WordPress. Shortcode support, after update the content, just put something like [onebyone_slider id=’24’ /] in your post or page to show it. Multiple sliders on same page. Unlimited layered images and text blocks. You can add/edit the slider without touching the code. Customize/update the image and text with WordPress backend. Responsive, support touch screen like iPhone or iPad. The index page with all available sliders. The slider edit page, you can add/update the image and text here.